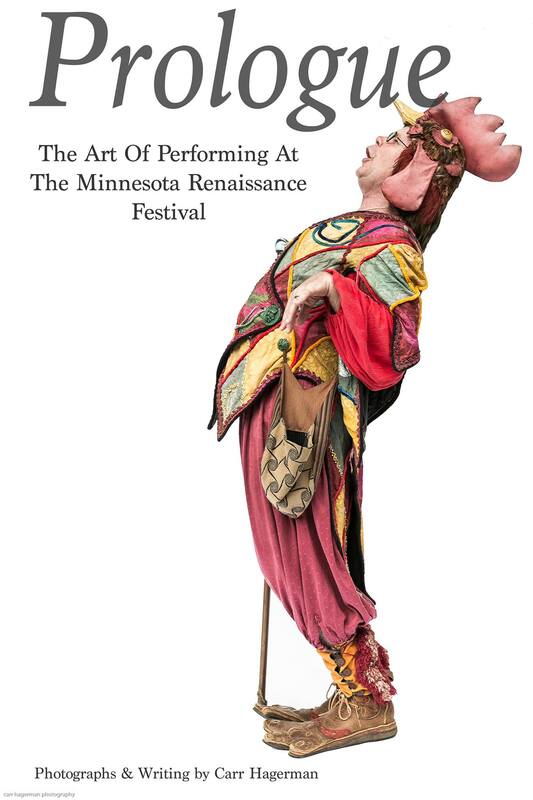 Jousting, turkey legs, wax hands, kings, queens, and all-around shenanigans—those are a few things that may come to mind when you think of the Minnesota Renaissance Festival. For Carr Hagerman, best known to fairgoers as the foul-mouthed Rat Catcher who roams the grounds and insults visitors, those are but the tip of the iceberg when it comes to his time with the festival. Carr can be tough to get a hold of this time of year, so I was very pleased to get the chance to talk to him. Philip Coler (TCG): For readers who have never been to the Renaissance Festival, what is it all about? Carr Hagerman: The festival is loosely based on Bartholomew Fair, which ran in London for several hundred years. Though many actors strive for authenticity through their costuming, language, and music, the historic theme is very flexible. TCG: What do you do specifically at the festival? Carr: I’m the artistic director. TCG: Sounds intense. What does that entail? Carr: As the artistic director, I articulate the greater vision of the show and the many experiences patrons encounter. As an example, Mermaid Cove, one of our perennially popular walk-through attractions, was something I described to a team of performers, designers, and builders, who brought it to life. In addition, I mentor young talent, provide feedback for veterans, and most importantly cultivate the artistic heart of the company. TCG: How did you first get started at Fest? Carr: I was 14 years old, and created a walkabout street character called Rat Catcher. That was over 40 years ago. TCG: If someone were to run into you as Rat Catcher, what would it be like? Carr: My work as Rat Catcher is really one of provocateur. I verbally accost passersby and comment or complain on everything I observe. If someone engages me, I’ll return the banter, usually in the form of verbal barbs and insults. TCG: What is one of your favorite moments out at Fest? 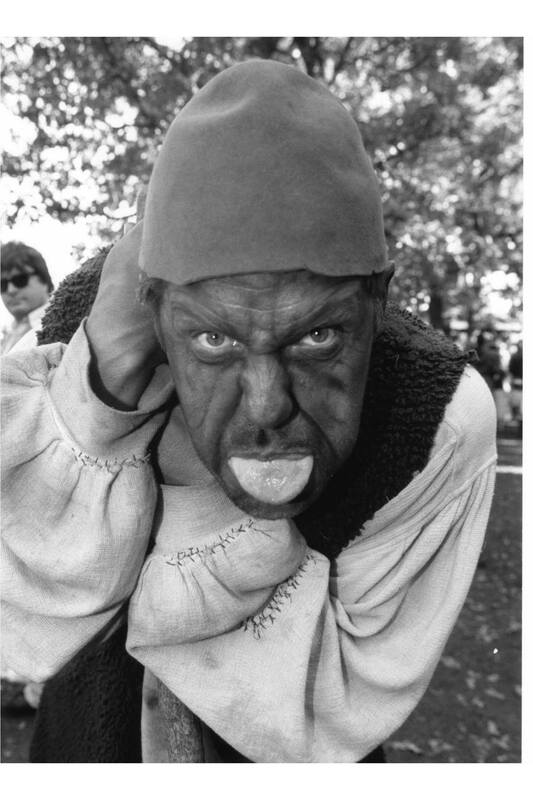 Carr: Just this past weekend, I was playing in the lane as Rat Catcher, doing my usual improvisations, and I surprised a very young patron with my very loud (not historically accurate) horn. I scared her, and she in turn scared me, and then we both laughed. TCG: If you ever have free time, what sort of hobbies do you have? Carr: I’m a photographer; shooting portraits and people is my meditation. I’m also an avid reader. TCG: My last question—do you have any words of advice to the Twin Cities geek community? Carr: Embrace creativity renewed and destruction. Creativity is hampered by caution and constraint. We need more creative works that challenge our thinking, not just in gaming or in online worlds, but in the theater, poetry, art and music. With the remaining weekends left for the Renaissance Festival this year, keep your eye out for Carr walking about the grounds and making sure the festival runs as smooth as possible. And f you happen to run into him as Rat Catcher, be prepared for some engaging verbal tennis! Visit Carr Hagerman’s website to learn more about Carr Hagerman and see his photography. When Philip is not playing games or in general goofing around he can be found working as a Scrum Master at PeopleNet or spending time with his wife, Kayla. His cat, Serenity (yes like the ship), may occasionally be spotted following him around the house.